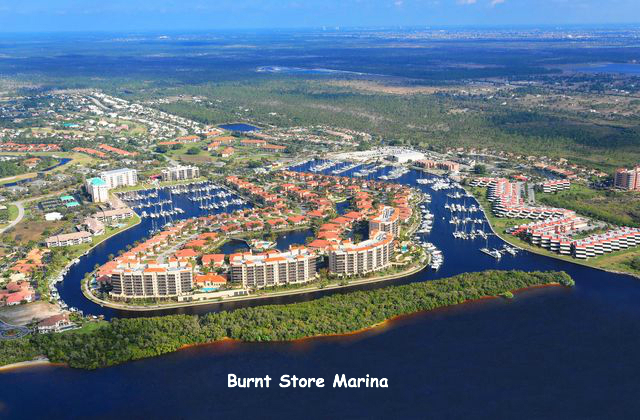 ​We are located at beautiful Burnt Store Marina on the southeastern shore of sub-tropical Charlotte Harbor. This outstanding location provides immediate access to 190 square miles of the well-protected sailing waters of the harbor! It was ranked by Sailing magazine as one of The Top 10 Places to Sail. As a marina guest, you have access to all the fine amenities including swimming, tennis, golf, fitness center, Cass Cay restaurant, and the Trading Post deli and ship's store. Take a sea leg and orientation cruise on the harbor day one and enjoy our marina before sailing off to your vacation!!! A 10 nm sail west and you have access to the Gulf of Mexico and the beautiful barrier islands of Gasparilla, Cayo Costa, Captiva, Sanibel, and Estero all reachable via the gulf or the ICW. All great places to visit or use as a stop over for sailing to Fort Myers Beach, Naples, Marco Island, The Ten Thousand Islands, Venice, Sarasota, Tampa, Dry Tortugas, and the Florida Keys. Check out the chart below. Your sailing vacation options are diverse and plentiful. Moderate winds and climate are predominant in our cruising grounds and, as a whole, the weather is very predictable. Wind patterns from mid-April through mid-December are typically southeast to east 10-15 knots. During the summer months, the usually lighter winds are overridden by a westerly afternoon sea breeze a 5-10 for a great afternoon or sunset sail. During the remaining months, prevailing winds are still southeast and east. When an occasional front moves through, the accompanying northerly winds kick the winds up to 20 knots for a day but rarely longer than two days. The moderate chop in the harbor and Gulf wave heights flatten quickly for those who desire a full sail plan. The ICW offers an inside passage to mitigate the impact of heading to your south or north destinations. Finally, the cruising waters which are absent of commercial traffic, are very well marked with navigation aids. The bottom conditions consist of sand and shell, thus offering good anchorage and forgiving. We would love to assist you with planning your sailing vacation based on our experience with our beautiful cruising playground!